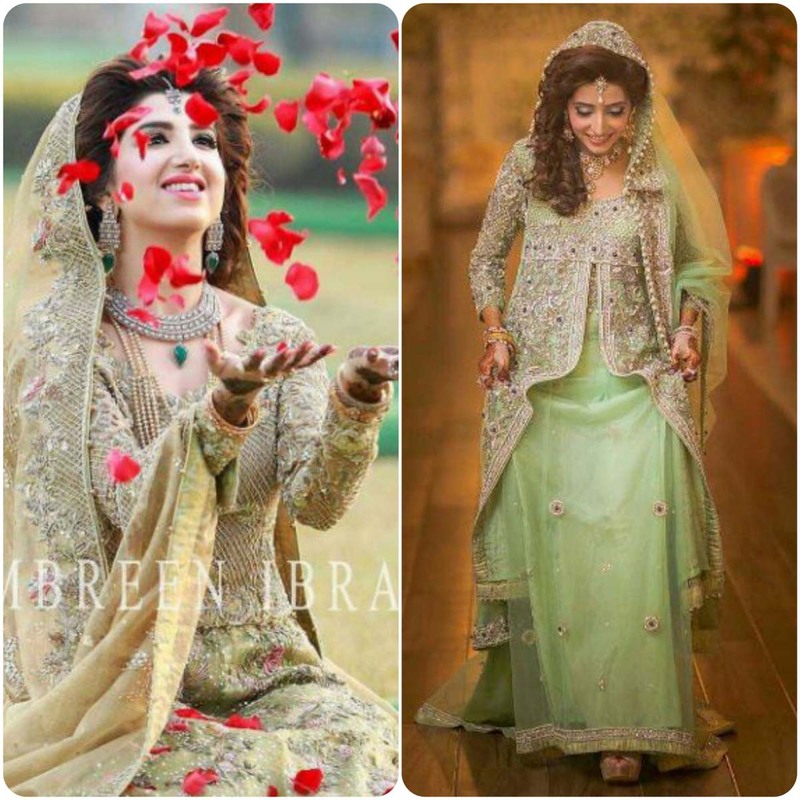 As soon as the first day dress of brides wedding is confirmed then next thing which makes a girls tensed is, what she will on her reception or walima day. 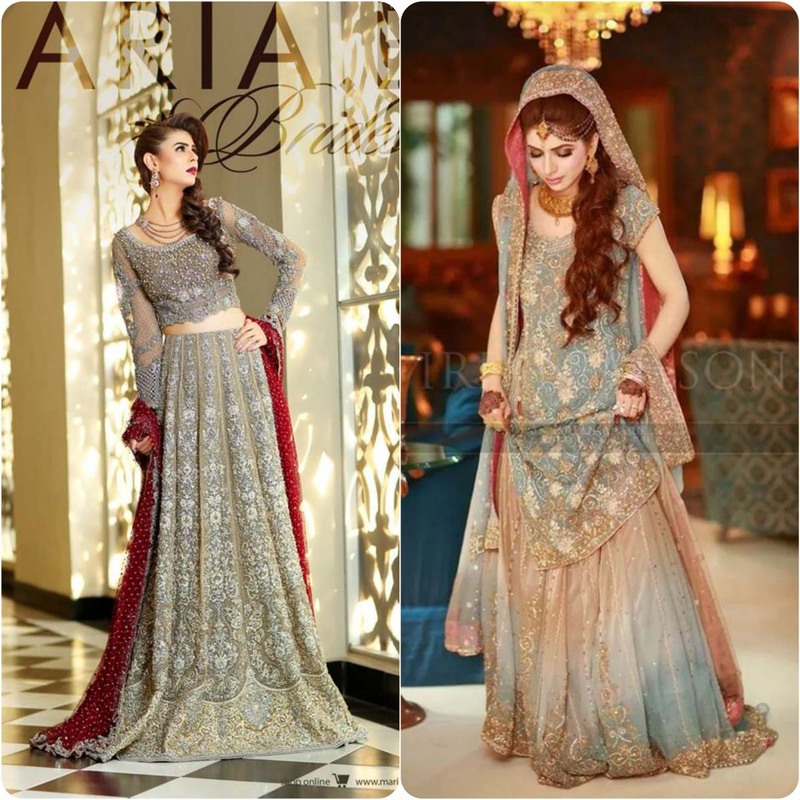 As many big changes happens in brides life, same like trends get changed everyday in bridal collection. 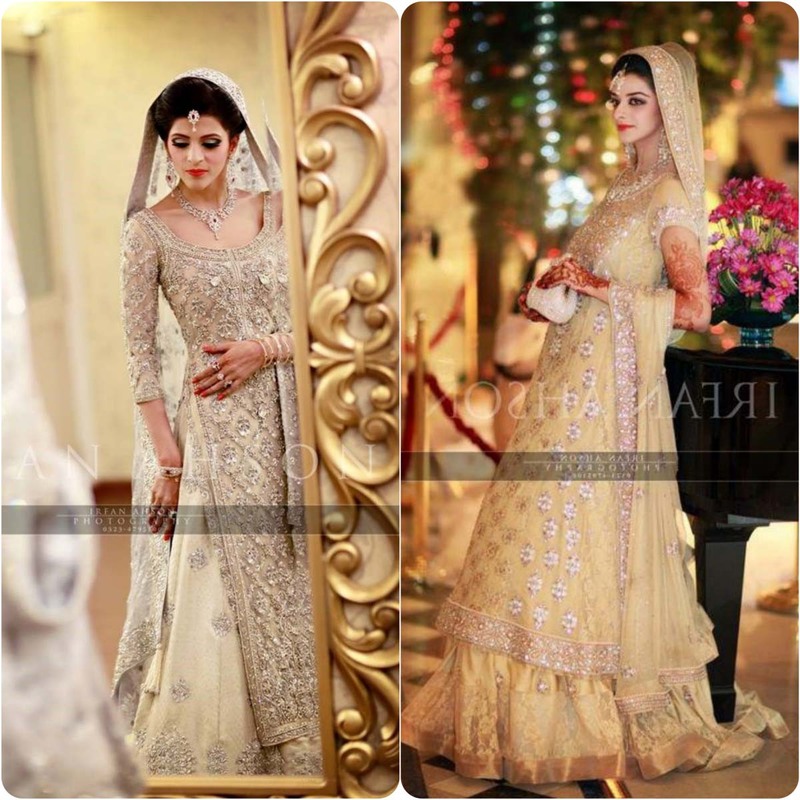 Wedding is most memorable and awaiting day not only for bride but for groom as well. 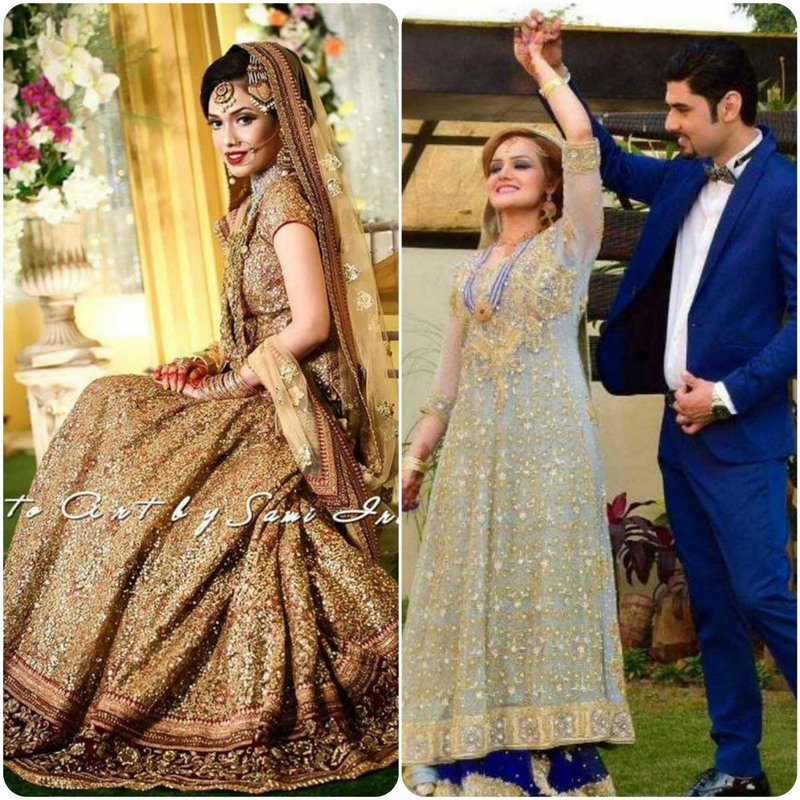 Both of them want to look stunner and attractive that day. Among three days of this ceremony, main importance after barat day is given to reception. 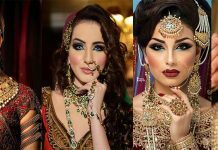 On this, with the change in couples life, makeover is also quite different as compared to first day. 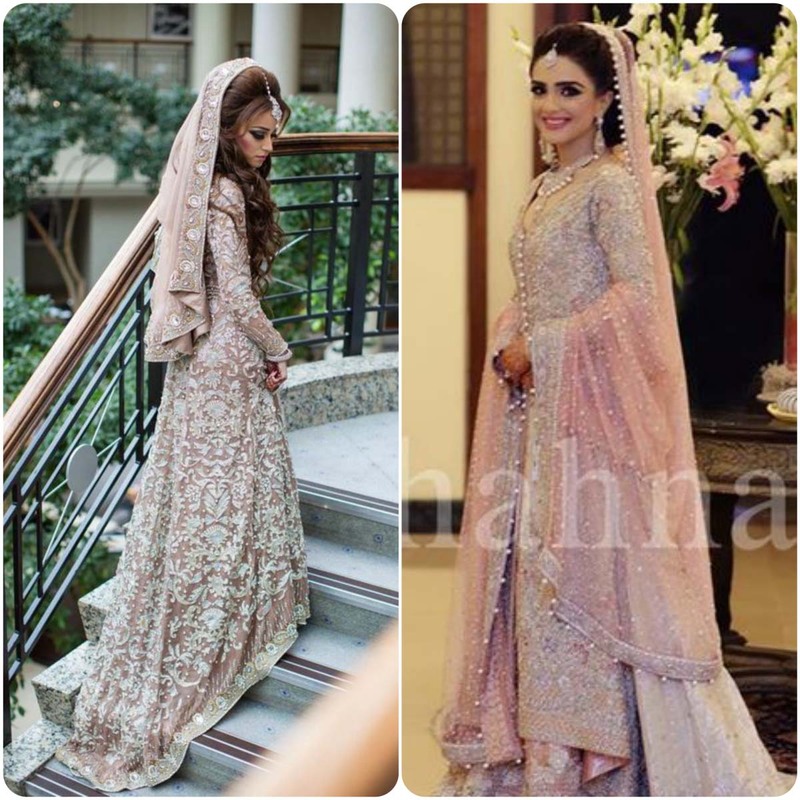 On Nikah, she wear heavily adorned apparel and dark makeup but after that day she do soft and pastel makeover with soft shade apparel. Girls want different and unique outfit and seems very curious about that. 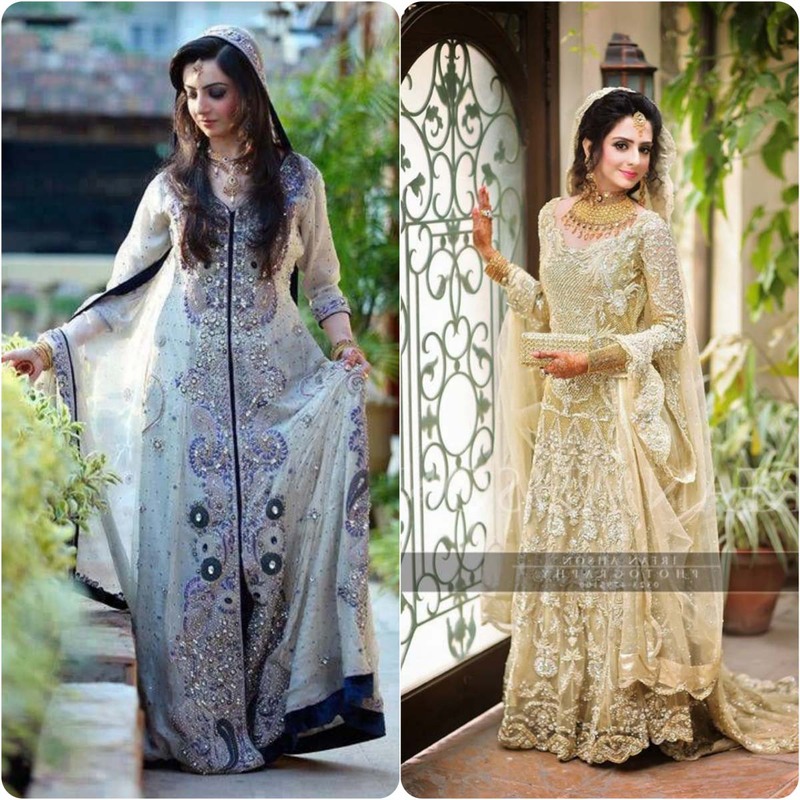 Many famous designers and brands of fashion industry, launched new Walima dresses in stylish patterns and designs. Then it becomes very difficult that now what she have to select. 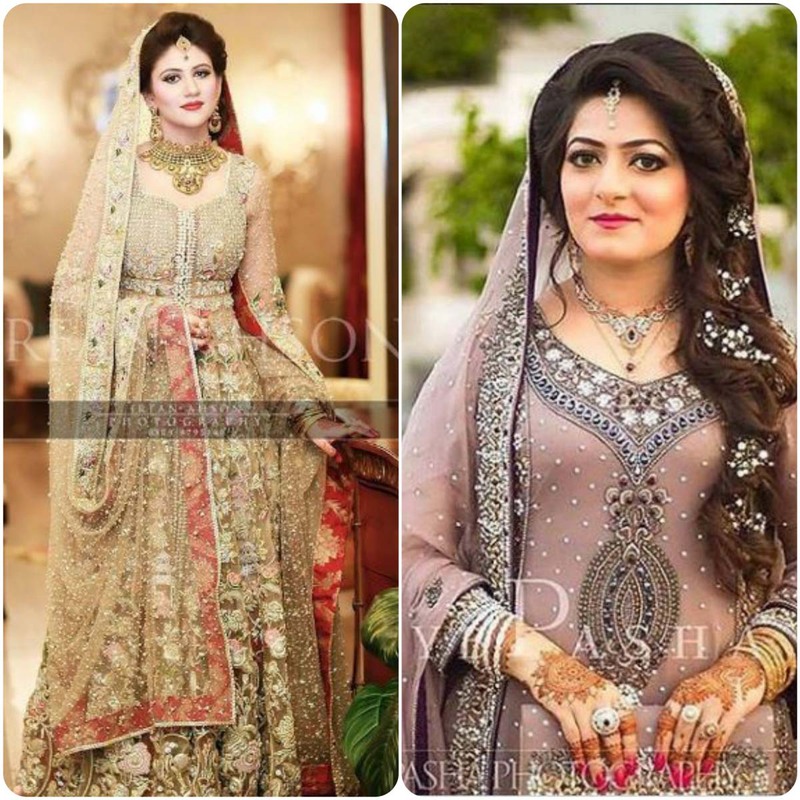 Gone are the days, when brides like dark colors for Walima function like red, dark blue, maroon, golden, purple, silver and many other, now people follow western trends and styles. Girls like soft shades like light green, sky blue, off-white, peach, silver with contrasts etc. 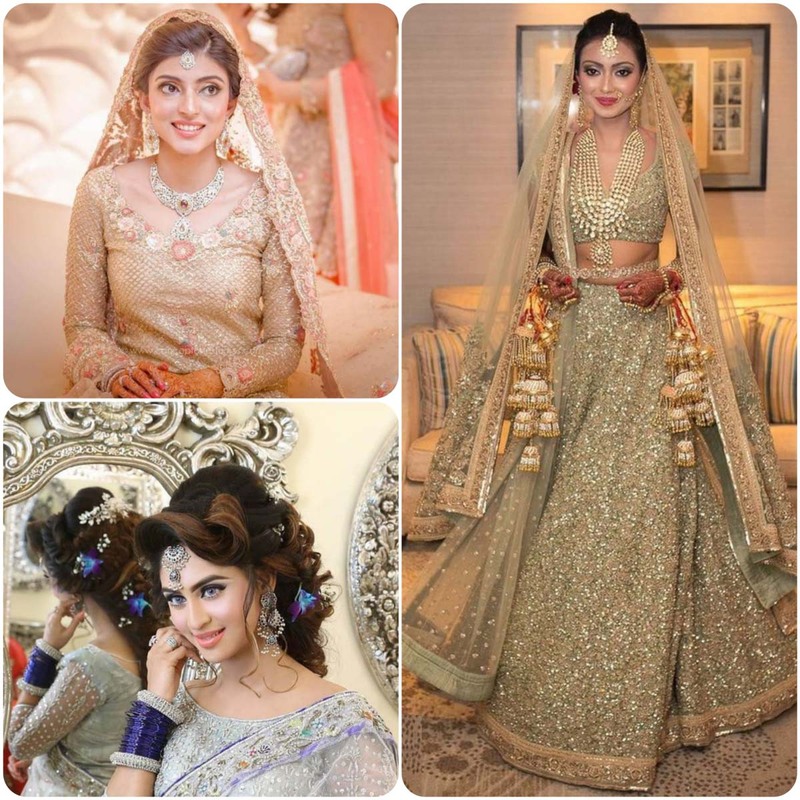 These light hues looks more stunner with light bridal makeup. 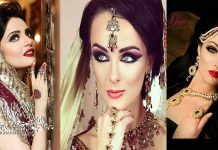 As bridal is the reason of attraction and gathering, so she should be confident about her look and dress which she had chooses. 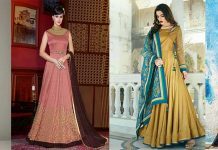 Designers always comes in market with master pieces of Lehenga’s, gowns and frocks with an substantial duppata, long shirts with sharara style. 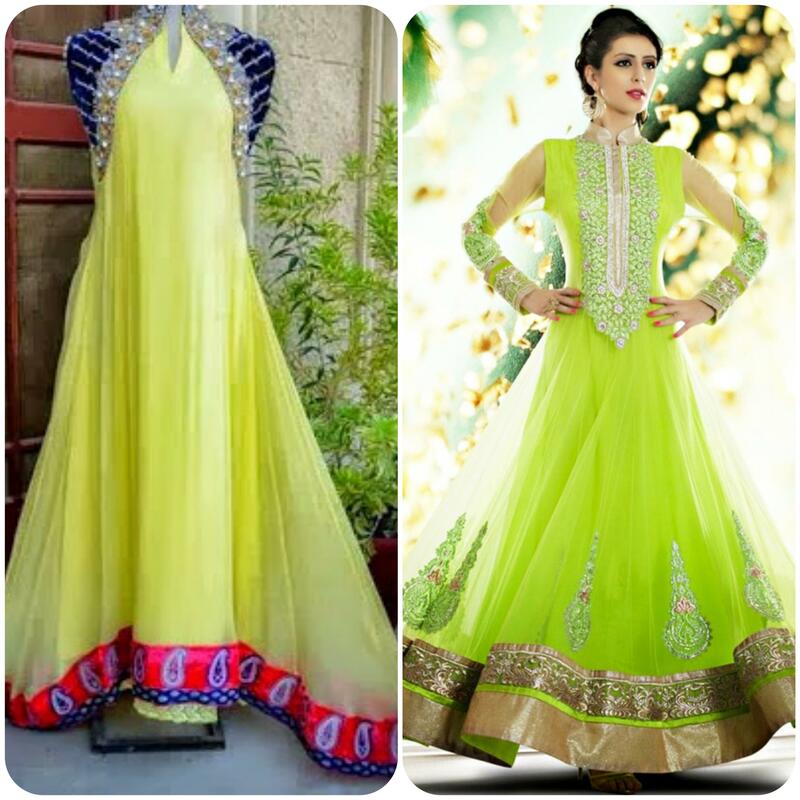 Among these, there is also a trend of Anarkali suit with churidar pajamas or pashwash. 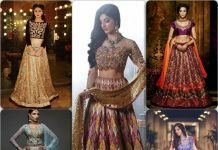 The intricate work of sequin, cut dana, stones, weaving, string work, Kundan, Zari, Zardosi, globule work, dabka is done on these outfits. 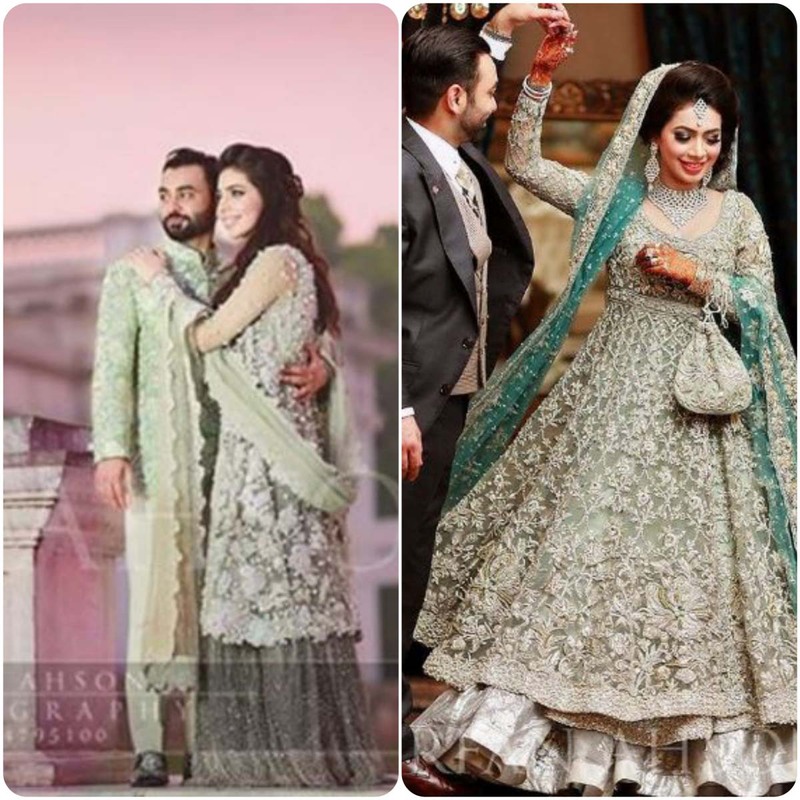 Pakistani fashion industry is also enriched with famous names e.g HSY, Maria.b, Zainab Chottani, Faraz Manan, Bunto Kazmi, Deepak Perwani, Fahad Hussayn, Jannat Nazir, Ritu Kumar, Tenna Durrani and many more which always serves in perfect way not only by their wedding collection but also by their seasonal wear. 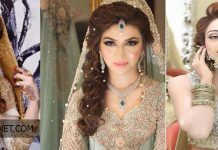 Here is superb and Best Bridal Walima Dresses 2018-2019 Designs & Colors for bridals. So have a look! 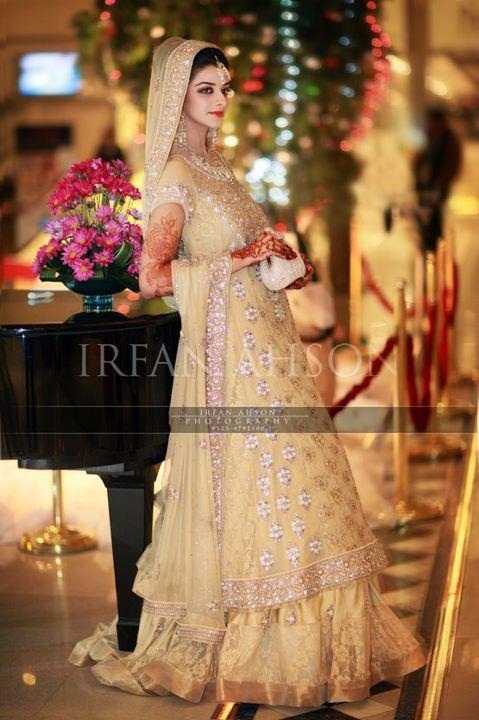 Now weddings dresses are best accumulation of Indian and Pakistani culture. As compared with barat function, this apparel kept slight less heavier. 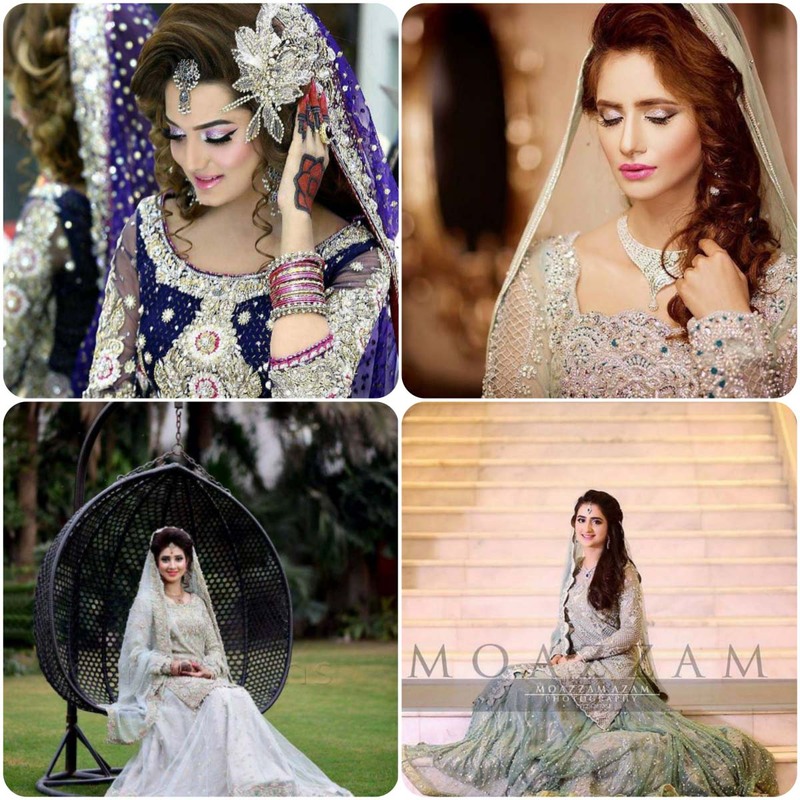 Pakistani girls always demands such outfits which are demanding, trendy and expected with brilliant hues and contrasts. 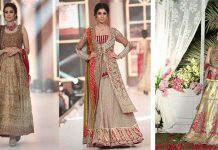 The fashion designers of Pakistan industry, keeps in mind the demand of ladies and brings brilliant designs in peachy and creamy shades. Now there is trend of off-white, light blue, soft pink, parrot, gray with blue or simple etc. 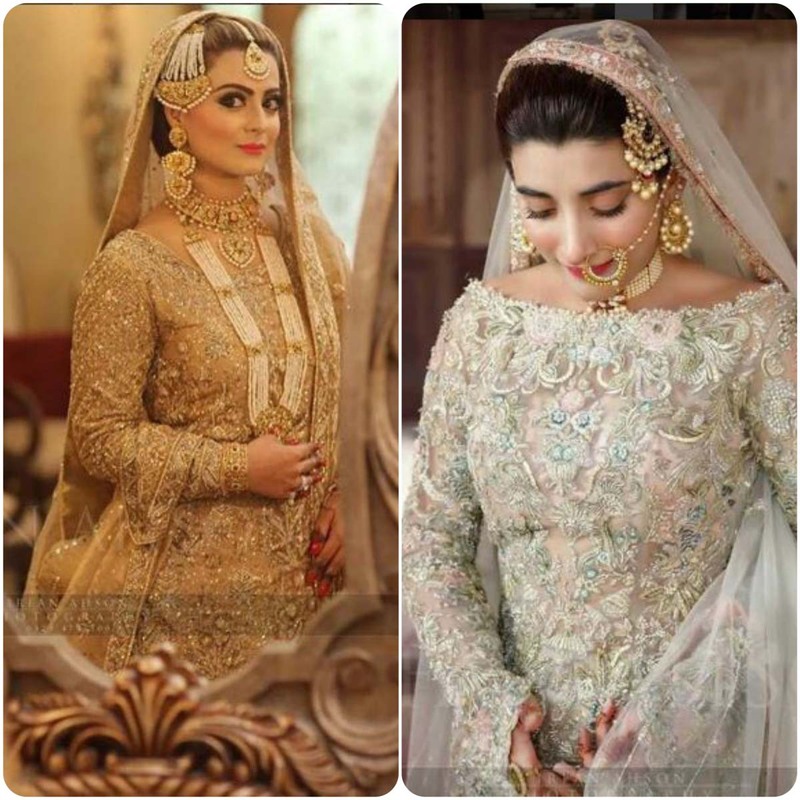 As the years change, designers also shows their Latest Bridal Walima Dresses Trends 2019 For Wedding. 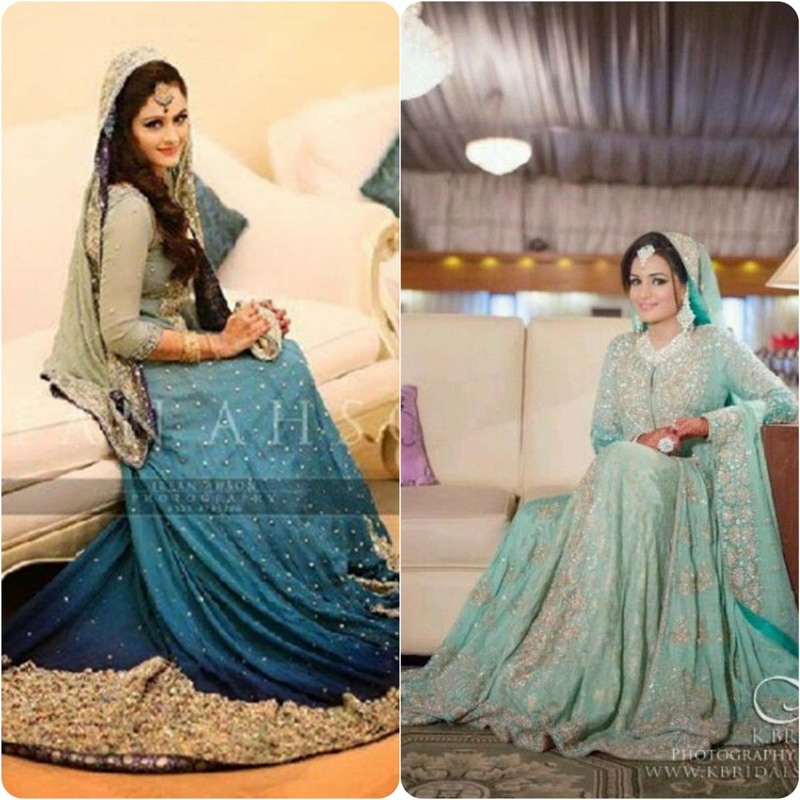 Differentiate of hues can be seen in these images like bride is wearing silver color and husband is wearing blue. 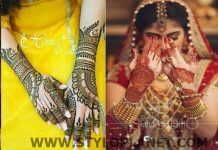 In ancient time, red was only color for wedding first day but there is also wide series of shades that looks more amazing then this. 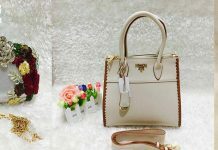 But in present age, fashion changed, trends getting changed and everyone want of follow western styles. So this article was all about is this. So just scroll down page and grab the best one for you. 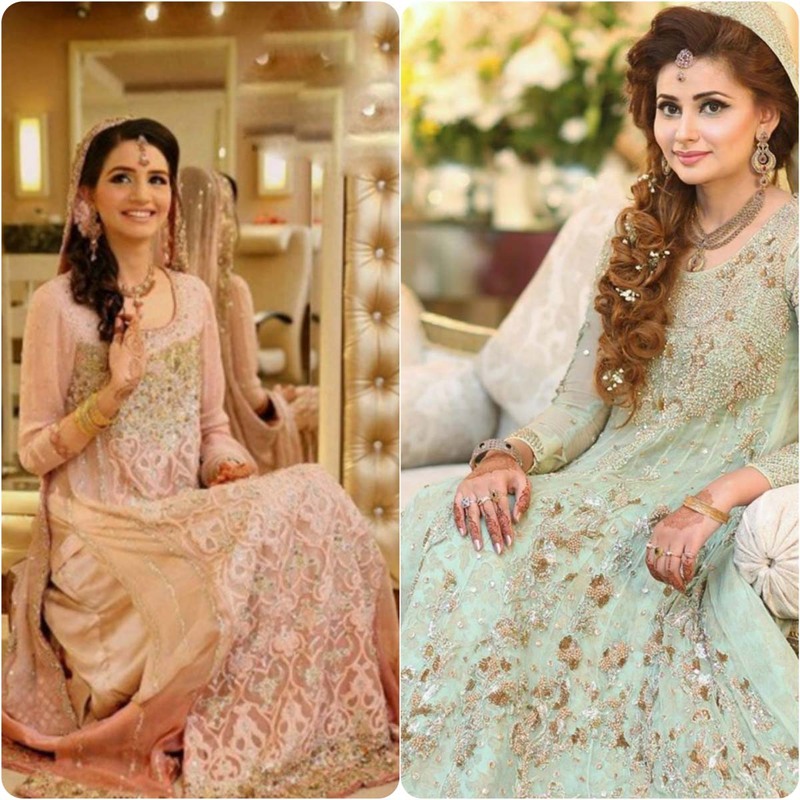 Pakistani usually like soft and delicate hues for their Walima apparel with intricate embroidered work and trendy designs, as shown in this 2017 image gallery.